After announcing its landmark partnership with IBM on Tuesday, cloud-based content management firm Box elaborated on what iOS users —and developers building on Box's platform —can expect when the first jointly developed products hit market later this year, and intra-office file sharing is just the tip of the iceberg. Initially, the plan is to launch a first wave of products focusing on practical enterprise needs like cloud files and content —Box's bread and butter —evaluate their success and iterate on innovation, Box SVP of Product and Platform Chris Yeh told AppleInsider. Tossing out a small batch of seed apps allows Box and IBM to cultivate a feature set from which assets can be cherry-picked to fill specific industry niches. "Our goal initially is to get a handful —somewhere south of five —applications that we can work with and just get them into the field," Yeh said. "Beyond those first five applications I think the goal will be to take some of the more innovative things that we can do together, and allow that to actually work." Announced on Tuesday, the partnership melds Big Blue's mature intelligence and security tools with Box's file sharing, storage and content management technology. For Box-side products, IBM intelligence and security set pieces act on content stores, while IBM nets access to a powerful cloud-based file collaboration tool. The partnership also opens the door to IBM's enterprise relationships across a myriad of industries. The official line is that Box and IBM will have their first apps on the market by the end of 2015, but Yeh said he hopes to get working models out in two to three months. That rate of turnover is rapid even for fast-moving tech firms, but Box has been working hard to develop solid iOS SDKs that jibe with systems from IBM, including MobileFirst for iOS enterprise apps. Yeh offered up an example of what a Box-powered MobileFirst for iOS app could look like. Riffing on the theoretical healthcare app outlined in a joint Box and IBM press release yesterday, he said the combination of Box content management and IBM intelligence would enable a secure environment in which healthcare professionals can share patient data, collaborate and interact on Apple's mobile platform. At the same time, Box kept developers in mind with a comprehensive platform bolstered on the backend by integrated IBM intelligence. 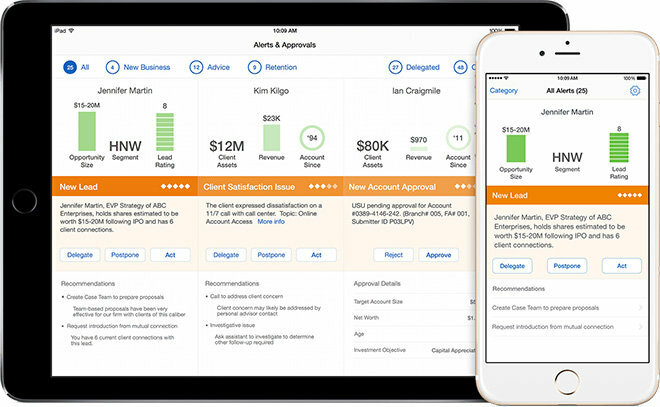 In fact, IBM's Global Business Services is currently working on a MobileFirst for iOS app using Box's SDK. Looking to the future, Yeh said Box integration with IBM's Connections and Verse social tools might one day be translated into a worthwhile mobile experience. An IBM+Box mobile app deployment might surface content trending within a company, for example, alerting employees to important issues of discussion. IBM Watson is expected to feature prominently in this and other areas. "There are a lot of opportunities there where maybe we start to think of Box as being a content store being processed intelligently at the backend and then using that intelligence to render content in an interesting form for users on the frontend," Yeh said. "Those are the kinds of things that are super exciting; where we've got some sort of intelligence that got executed somewhere and we use that to actually produce a good experience on a mobile device."